You should know that I am not a Samsung type of guy, but the Samsung Gear S3 is one great looking product. If their software works half as good as it looks, then this will sell like ice-cream on a hot day. I had only read the title of this article macOS Sierra Code Confirms Thunderbolt 3 and 10Gb/s USB 3.1 Transfer Speeds in Future Macs) from macrumors.com (brought to you by 9to5mac.com) and boy was I surprised. I thought that I had missed something. Then I fired up my data scraper and… found nothing! Ehm. Guys. Where is this mysterious “Thunderbolt 3” string? That is what I found there. There is no 40 Gb/s x4 or anything. I agree. That is very well possible. Perhaps even likely since Thunderbolt is a highly anticipated feature, but what macrumors.com concluded is not correct. You cannot conclude that from that data. To me it’s more like this; The minute we find references of Kaby Lake… then Thunderbolt 3 is confirmed, but for now… everything is still speculation. Edit: Previously we could only guess, but the launch of the new Late 2016 MacBook Pro changed all that. 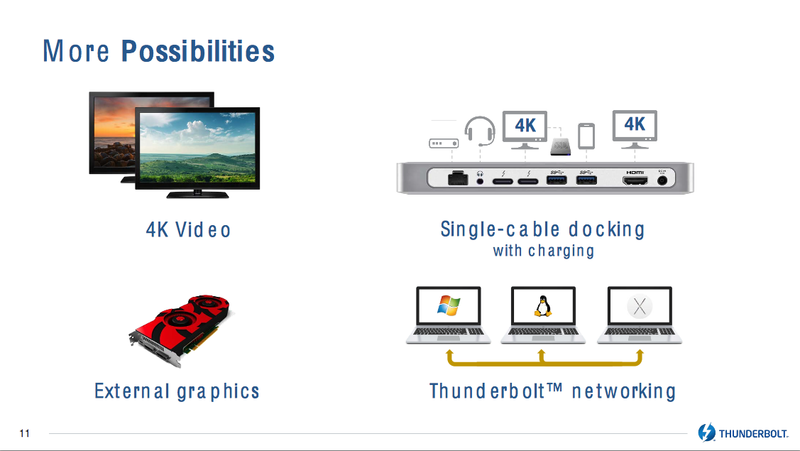 They do come with Thunderbolt 3 and thus now we can say that it is confirmed. I compiled RevoBoot on macOS Sierra with the latest Xcode-Beta command line tools installed but instead of booting it immediately rebooted. Boot_VideoV1 basically replaces the old Boot_Video and is used for backward compatibility. The new Boot_Video structure has slightly changed. The first thing you should notice is that there is a new reserved field, for seven 32-bit variables. The second change is that this new structure now uses a 64-bit VRAM address instead of a 32-bit address. Possibly only used by new Apple hardware with a new version of their own EFI. Anyway. I made the changes for RevoBoot in bootstruct.h and a couple of other files and I also fixed it for the macosxbootloader. You have 48 hours to reply to the e-mail and provide a shipping address! Edit: Sorry. I made a typo in the name. It is Vince instead of Vance. Update: Vince replied in time, but he is on holiday – on a campsite – and he won’t return before August 23. Ok. No problem. We will store the box for you and ship it the day after we return from our holiday. 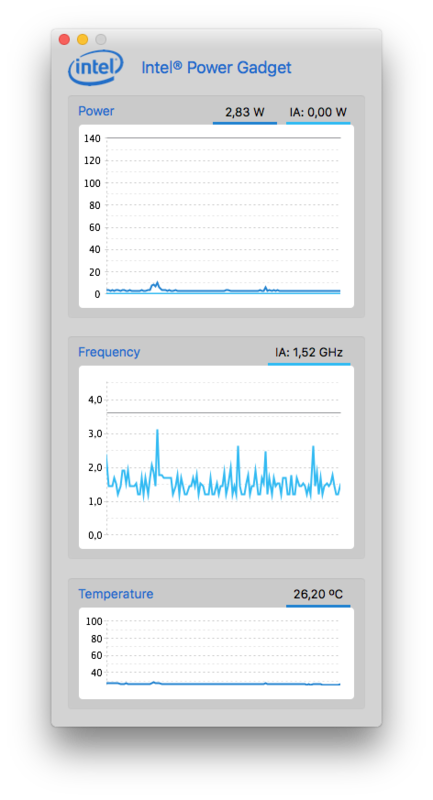 Let’s start with a picture of the processor running idle at less than 3 Watts. I have seen it run at an even lower wattage, but it is hard to capture (working remotely here). Here is a picture of the processor after a Geekbench 3 test run. Some people are looking for a sustained turbo ratio, and that is possible with a trick. No. You really shouldn’t see something like this. Running hot for a long period of time will degrade your processor, and eventually it will get smoked. Totally. Sans warranty from Intel I suppose. Say what? Yup. That’s about it for now. 1.) When I select the XMP profile in the BIOS, then the Current Package Power in the Intel Power Gadget is broken. Far too low. Like 0.6W instead of a normal value. Here we see that the Temperature in centigrade and the Power usage in Watt is higher without C-States enabled. Well hello. I almost forgot to share something with you, and that is that I found processor checks in macOS Sierra DP4 for two unused Intel processors. And it’s still there in DP5. Ok. One check is definitely for a Broadwell based processor – follows the same path – and the other either for a Skylake based processor, or perhaps a Kaby Lake processor. Thing is. The latter shares a lot with Skylake (based) processors, and there isn’t a whole lot of code that we can check, so this one is still a bit of a mystery to me. Now you ask; When and where did you find it Pike? Currently there is no model check for 0x100 and 0x2000 in _xcpm_bootstrap, but they do get checked in _xcpm_init_complete and _xcpm_monitor_init. The bits corresponding to 0x100 and 0x2000 are also set in most of the programmed MSRs (data from DP4). Edit: Use the same trick as what we did for _xcpm_SMT_scope_msrs to get the file offset. As you can see here, all but four MSRs include the bits for unused processor models. The big question now is; why? To get ready for new hardware perhaps? Edit: Clearing a bit for a matching processor model in the CPU-bits field will stop it from being programmed. As in. It won’t write to MSR 0x00 (zero) when you nullify the 32-bit MSR and 32-bit CPU-bits fields. I can’t remember who it was that thought that it worked like that. Fact is. It never did and I told you so back in 2013 (see Update-4). // Main do while loop. // Checks for matching processor model and target MSR. // Get MSR number field from table. // Read initial value of MSR. // Keep value in the "initial value" field. // Get "AND value" field from table. // Update value of MSR (NOT, AND and OR). // Write back modified value of MSR. // Read value of MSR and store it in the "result" field. msr_table += 0x30; // Move on to the next MSR. number_of_msrs-—; // One MSR less to program. Note the callq 0xffffff8000428130 because that is the one you are looking for, but be aware of the fact that the addresses are different for each Developer Preview/Public Beta of macOS Sierra. Note: PB = Public Beta. Everyone appreciates courtesy. Don’t you? I for one certainly do but apparently not everyone understands what it takes. The long hours that are required to keep things going. And then to remove my name from my patches… tsk tsk. That is not done. I don’t care if it is done deliberately or not. I don’t care of you are stupid, ignorant or a tard. If you use my work, then you need to keep my name in there, or everyone will eventually pay the price for it. Remember. My policy is one of zero tolerance!